At least one review of Astounding Frontiers #1: Give Us Ten Minutes, And We’ll Give You a World, has noticed that I stole elements of my short, “According to Culture,” from a historical incident. This shouldn’t surprise anyone, I’m a historian. As Jeffro Johnson, leader of the Pulp Revolution, noted, there are elements of the film Taken in there. It should shock no one, but the Taken element was the #1 thing I thought of when I sat down to write my short story. After all, how do you do Pulp, aside from action, and insane goodness? Kidnapping is an easy way to do it. The very nature of the crimes comes with an automatic clock, and if there’s one thing I learned growing up with Jack Bauer, is that a ticking clock makes everything better. Though I guess I could have killed someone’s puppy. One of the first characters I had created in my writing career was Sean Patrick Ryan. For the lack of a better term, he is a space ranger. There’s a lot of background to my Rangers, but the short version is that they are much like those of Texas: their jurisdiction is wherever they are. Since I’ve got whole volumes about Ranger Ryan on my computer (which eventually release one day), I knew he lived long enough to have kids. Let’s kidnap one! Originally, it ended there. On my second pass … Nah. This was too easy. I need to beat this Emperor up some more. A lot more. It’s not as bad as the 50 forms of boss battle at the end of a JPRG, but it escalates the threat. That’s where the dragon comes in. Because I really like dragons. Who doesn’t? 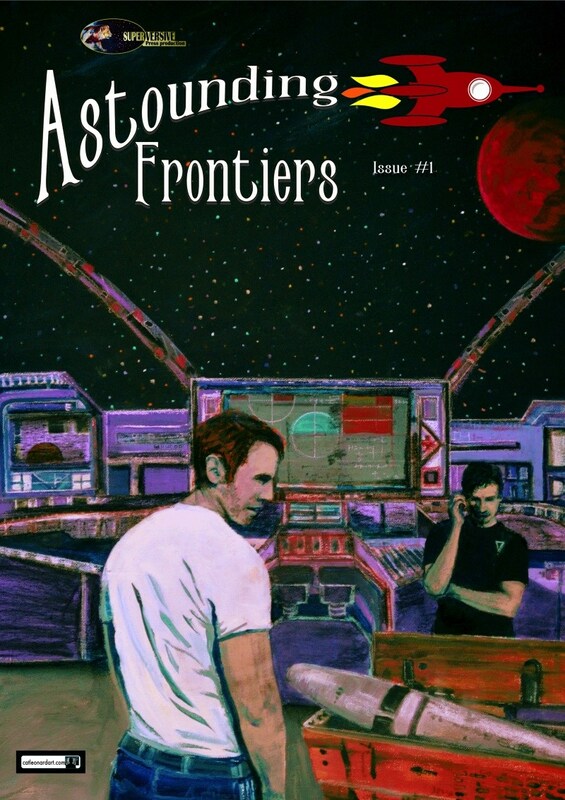 Anyway, take a look at Astounding Frontiers #1: Give Us Ten Minutes, And We’ll Give You a World today.